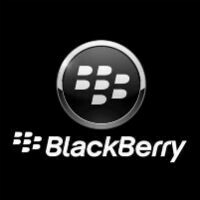 Good news for those rocking a device powered by BlackBerry 10. An update to the platform's version of messaging app WhatsApp has been pushed out. You might remember that Facebook purchased the popular app for more than $21 billion (which was the value of the deal by the time it closed in 2014). The update takes the version to 2.12.340.2, and includes a number of changes. The changelist includes: Added support for some additional web client features (e.g. Message info, recent emoji sync), added support for web link previews on outgoing messages, updated organization of phone numbers on the Contact Info screen, message history backup process should now cause fewer issues with normal app functionality, attempted fix for issues connecting via proxy servers and miscellaneous fixes and updates. The update is available now from BlackBerry World. You can go to the latter's WhatsApp for BlackBerry 10 page by clicking on the sourcelink..
Screenshots posted are not that of BB OS 10 (they are from an OS 7 or whatever device). You can clearly see the design and aspect ratio don't match that of BB OS 10 devices. But yes there is an update, updating now but the new emoji was added months ago. I have had BlackBerry 10 devices since they came out and never have I ever seen whatsapp pop up on the phone the way this screen shot is (top next to the battery) also the battery is usually on the left side of the phone so am not really convinced this is legitimate blackberry 10 update, although I did get a whatsapp update a couple of weeks ago. Why would they (phonearena) portray this as being blackberry OS 10? Joking aside. They tend to not only be very biased against BB and WP but many of the people who write these articles have no knowledge about these OS's and make a lot of errors and fanboyism. As Phonearena themselves say, when it comes to articles about BB and WP, take them with a huge proverbial grain of salt lol. Who me? And no I honestly couldn't be bothered its just that PA's inaccuracy about WP and BB is .... well it is what it is. I dont mean opionated articles... just things like these. Yes you. Blackberry isn't as important as the other platforms especially with how little market share it has now. Of course. As long as the platform isn't important PA is allowed to post inaccurate articles. Haha. As already pointed out by the very observant ihearlivepplz, these are indeed screenshots from OS7 BlackBerry devices. Smh.... I'm not a WhatsApp user. Don't really care for the app, but it's still nice to see BB10 apps getting some love.